This Isn’t Anime! This Is Yoshihiko! Stephen and Zachary are tired of watching anime. It’s all the same, ya know? It’s not like there’s a wide variety of animation for all tastes. That’s why the two have turned to the far more diverse world of live action television. 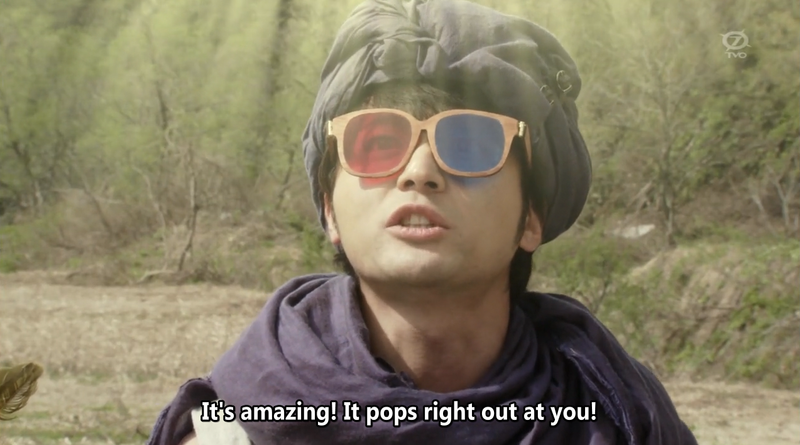 In a very special episode of Sad Senpai and the Gaijin Kid, Stephen and Zachary watch the first episode of The Hero Yoshihiko and the Demon King’s Castle. It’s a satirical take on all the Japanese RPG tropes we all grew up with. Considering that Stephen hates JRPGs, he gets a big kick out of it. Worry not, however, as we’ll back next week with animated tomfoolery and bewilderment. You wouldn’t expect anything less, right? Yoshihiko is not available for purchase in the United States. As it stands, it’s unlicensed and can be obtained here. If you enjoyed hearing Zachary and Stephen talk about anime for 22 minutes, you also might like hearing them talk with two other excellent dudes about video games for an hour each week over at Disembodied Voices.